Just because you need a car that’s suitable for your family, that doesn’t mean you can’t have a stylish car too. There are plenty of good family-friendly cars out there that offer you the style that you want. You just have to know what you’re looking for before you start the search for your next car. Style is a subjective thing. But there are undoubtedly some cars that stand out from masses of dull cars as being a little more stylish and well-designed. Don’t accept a car that is practical but boring. If you look a little harder that can be great to look at and do everything that you want it to as a driver with a family to cater for. Here are some of the cars that fit that description perfectly, so read on to find out more. The smooth and aerodynamic design of the Honda Civic make it look great on the road. It stands out from the vast majority of similar midsize cars that you can buy nowadays. It’s a much more affordable car than it looks like from the outside as well. Combine that with strong fuel economy and you have a car that is great for families and people looking for affordable style. You can read an insightful review of the latest Honda Civic model at www.dailyrecord.co.uk/lifestyle/motoring. If you are not looking for something with lots of space, then the Mini Cooper is a good option. It’s actually not as small as many people assume. The car feels much bigger when you get inside. For a family of four, it offers plenty of space but doesn’t take up much space on the road or on the drive. It’s a car that also has a reputation for class and style. When you drive a Mini, you know you’re driving a car that looks great and holds prestige. If you want to find out more about them, you can go to www.coopermini.co.uk. 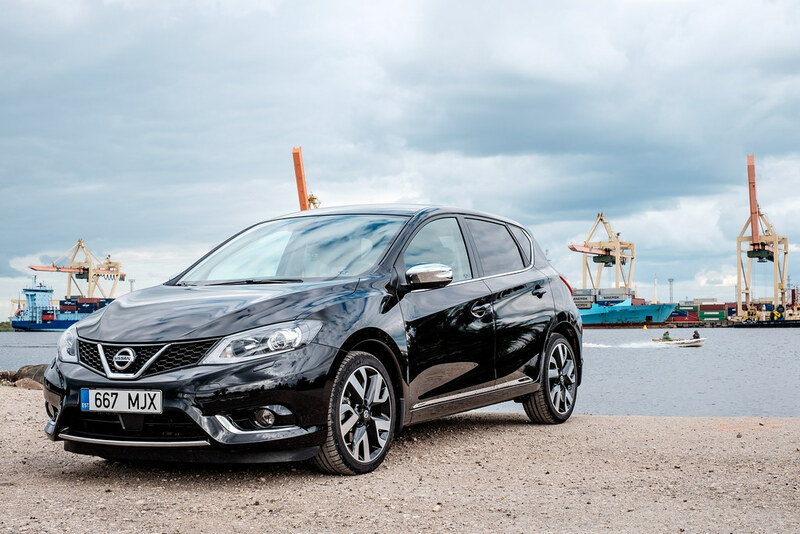 The Nissan Pulsar is a rather traditional family hatchback in many ways. And that means that you can rely on it to do what you want it to. It will get you from A to B and provide enough space for the family. The simple things like that are often the ones that people regard as most important when it comes to buying a family car. But the Pulsar is a little different because, like the Qashqai, it has a striking and dynamic design. You don’t get that from most ordinary and conventional hatchbacks. It’s also great to drive. It’s smooth and fun, so it’s definitely one to consider. If what you need is a large car with plenty of space for the family, then the Toyota Highlander might be the one for you. It’s a huge car, so you will never find yourself short of space. And the legroom and general comfort the car offers is second to none. All of these things make it a great family car purchase. But it’s also an extremely stylish car. It’s among the most impressively designed of all the SUVs that you can find on the market right now. So, it’s a car that you should definitely consider if you’re looking for that kind of vehicle. The BMW i3 is one of the best electric cars on the market at the moment. If you want to stay green and find a good car for your family, this is the car for you. But it’s a car that looks great. Just because a car is good for the environment, that doesn’t mean that it can’t look great too. It’s one of the most striking and futuristic-looking cars that you will find on the road right now. It also comes with a two-cylinder engine that can function if the battery runs out, so you get the best of both worlds. All in all, it’s a great family car, so don’t rule it out. The beautifully built interiors of the Audi A3 Sportback are what’s most impressive. The comfort, the quality of the finish and space are all very impressive design. If you’re looking for a design that’s as good on the inside as it is on the outside, then the A3 Sportback should be on your list. The sporty exterior design of the car offers you another reason to make this your next purchase. The engine is also very efficient, meaning that costs can be kept pretty low. That’s something that is often very important for drivers with families.